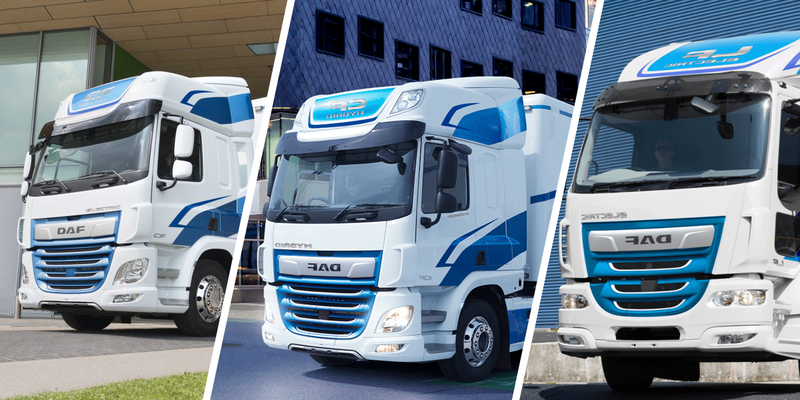 All three electrified models are designed with varying customer demands in mind. 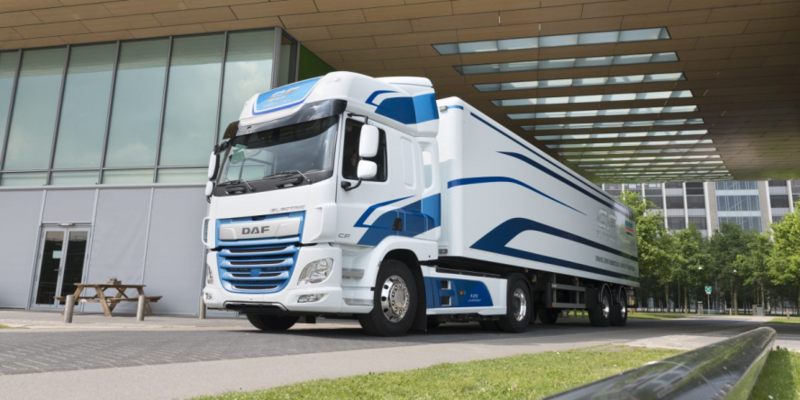 Moreover, DAF managed to work with experienced partners, namely VDL Bus & Coach, Cummins and ZF. 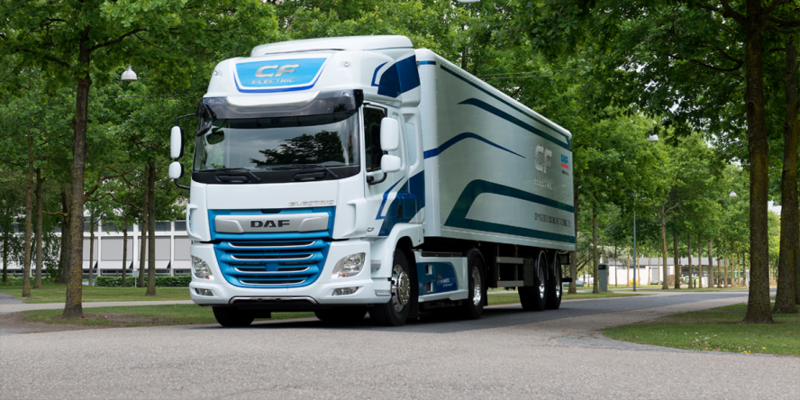 We had featured the CF Electric before and so what follows is a brief recapture. 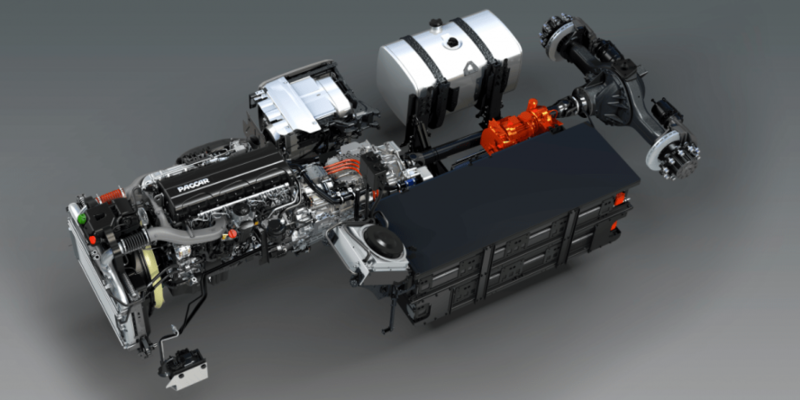 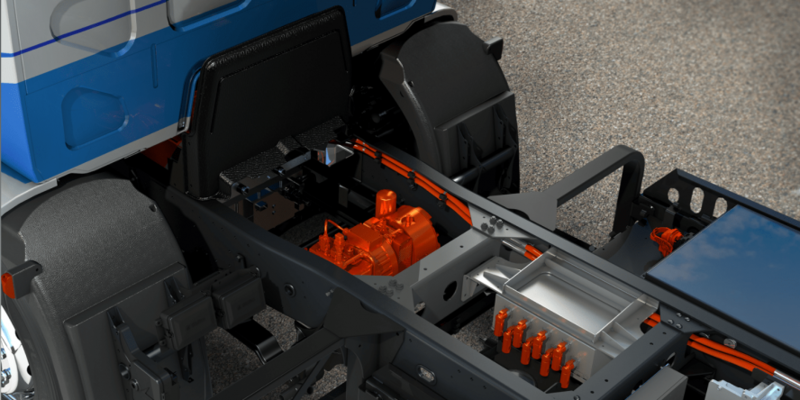 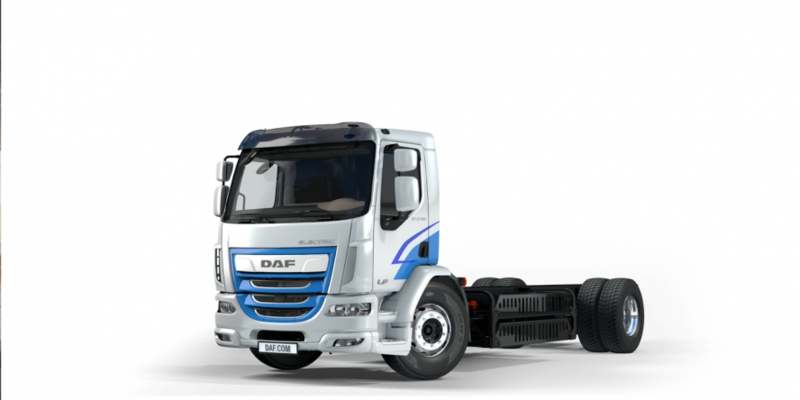 DAF builds the all-electric tractor with a system of VDL. 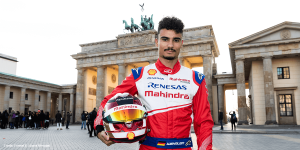 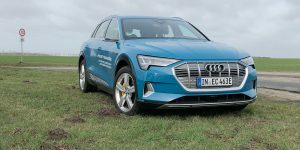 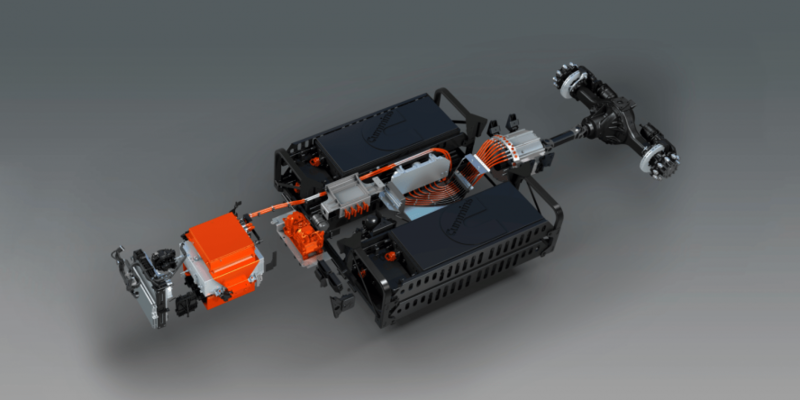 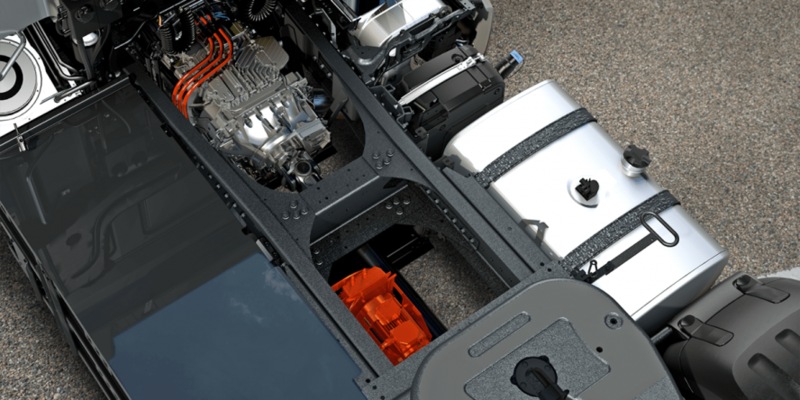 This consists of a 170 kWh battery pack for a range of 100 km and a 210 kW electric motor. 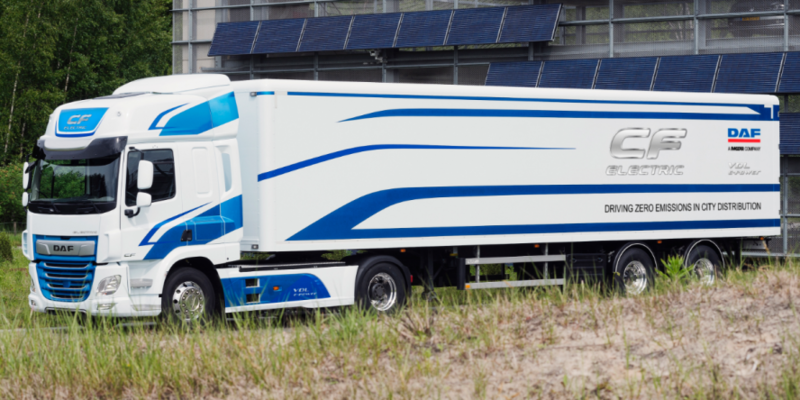 Now to the new LF Electric also on show in Hanover. 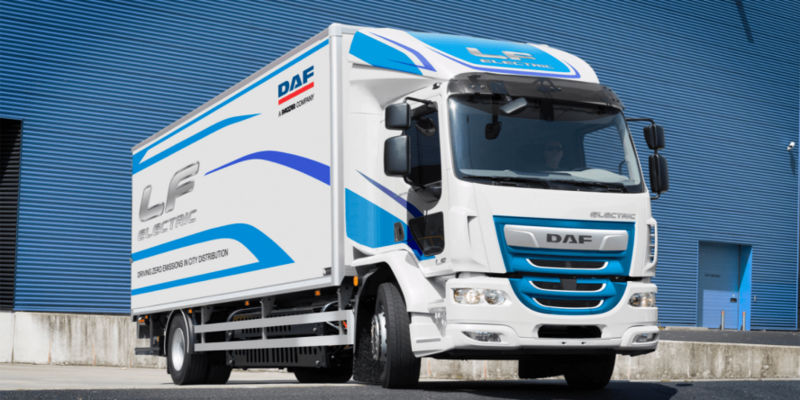 DAF specifies a 250 kW electric motor and the option to built-in battery modules with up 222 kWh. 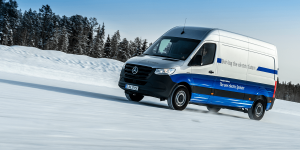 This then adds up to a range of 220 kilometres when fully loaded. 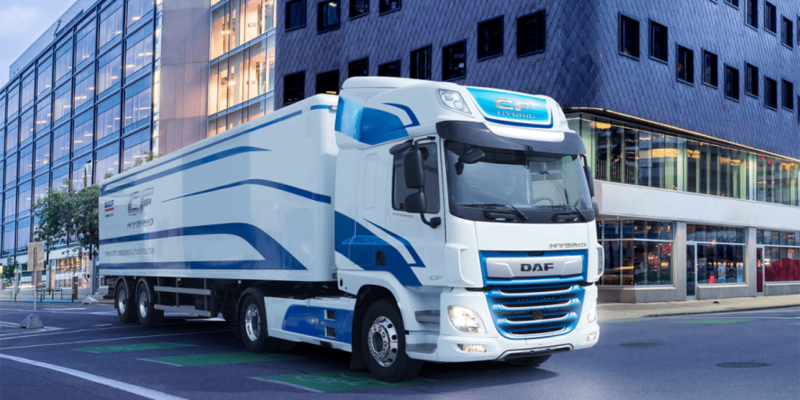 Compared to the CL Electric semi, this range is much longer but the LF is also made for lighter duty with its 19 tons. 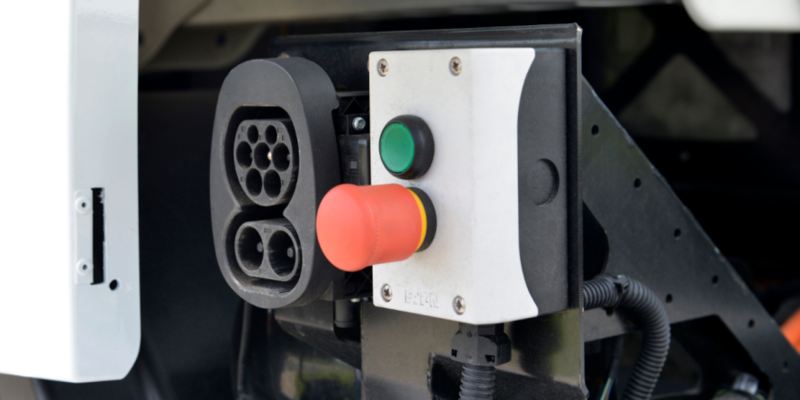 For the LF Electric, DAF uses Cummins Technology. 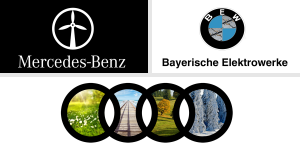 Rounding up the portfolio is the largest of the three and the one that has to cover the longest distances. 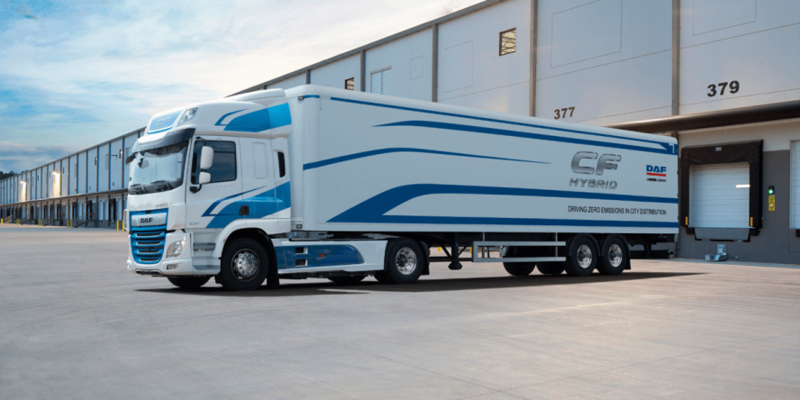 The CF Hybrid truck couples a 75 kW (peak 130 kW) electric motor with a diesel engine. 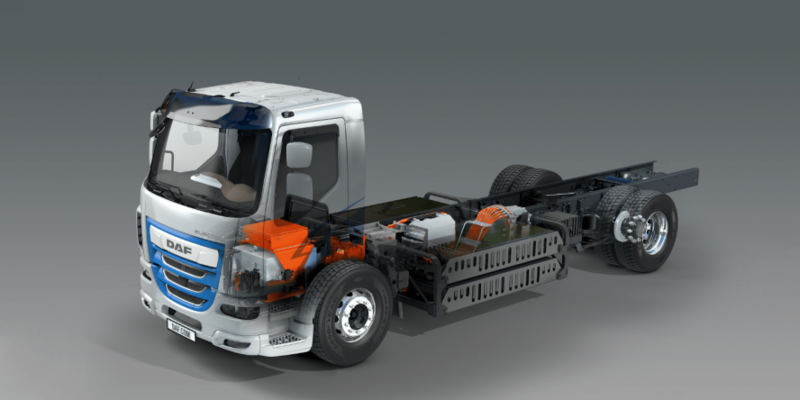 The electric drive is supplied by an 85 kWh battery pack for a range of 30 – 50 kilometres. 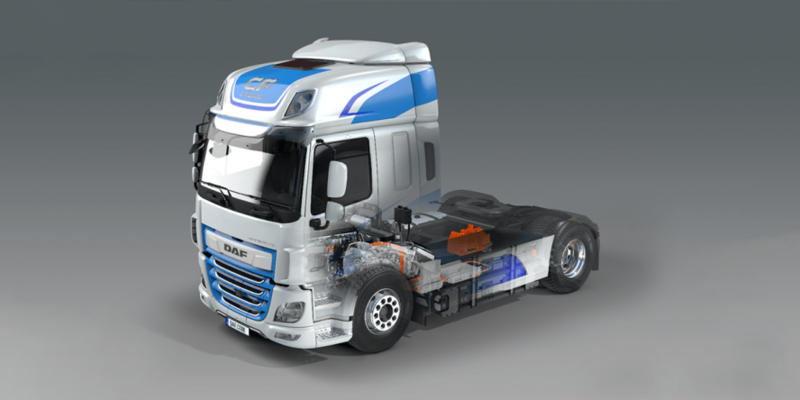 In addition, the diesel engine can charge the batteries during on-highway operations. 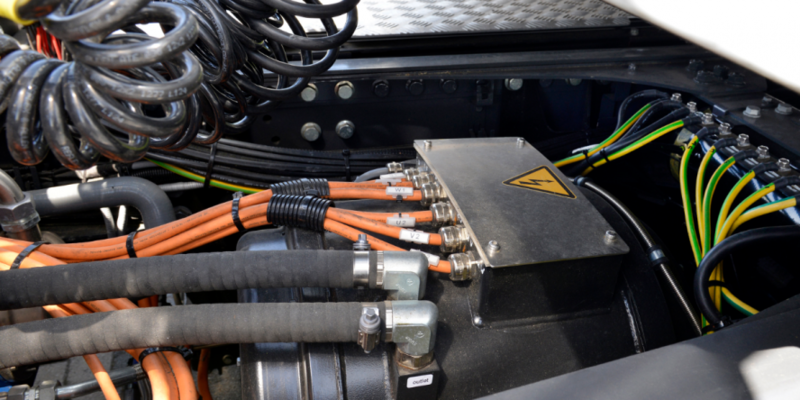 Otherwise a DC charger is in order. 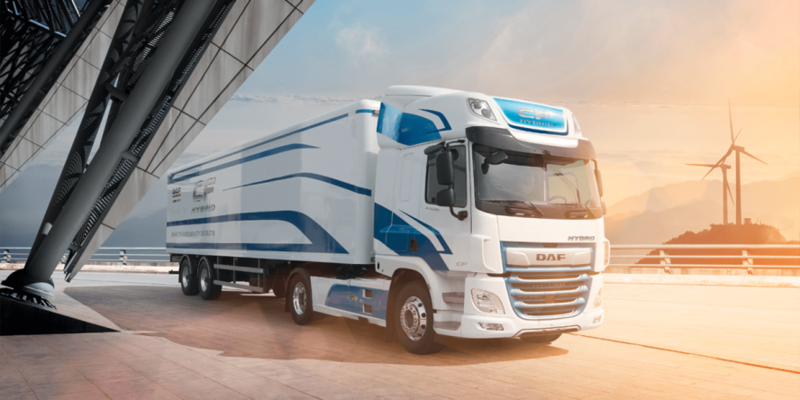 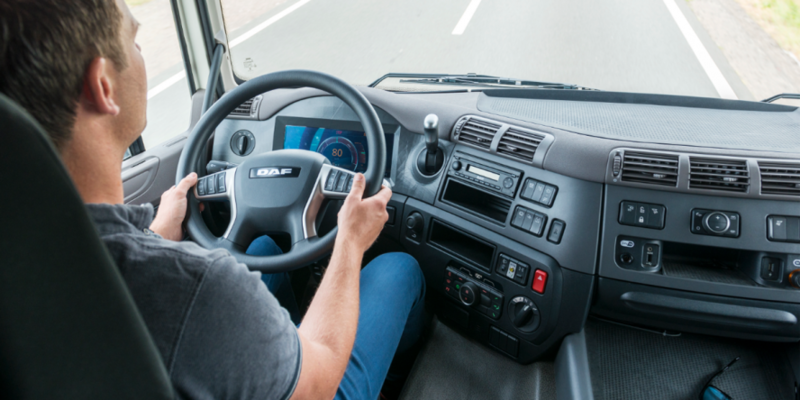 DAF has been working with ZF for this system and they state that real-world testing at selected customers is to start next year and will run throughout 2019. 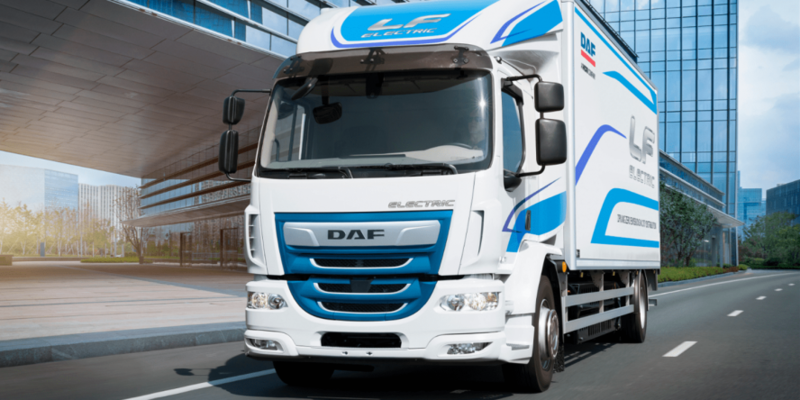 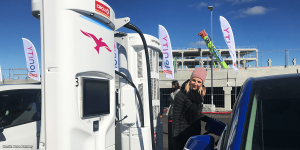 Similar field tests are planned to start with the LF Electric and CF Hybrid in 2019 and DAF say they will introduce these electric trucks when the market is ready.